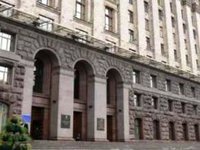 The European Bank for Reconstruction and Development (EBRD) together with the International Finance Corporation (IFC) will provide financial support for the modernization of the Kyiv heat and power complex, the mayor's press service has reported. Financing will be provided in the framework of the memorandum on the development of the Kyiv heat and power complex, which Kyiv City State Administration, municipal enterprise Kyivteploenergo and international partners will sign in mid-December. "It is especially important for us that today we have the first results of joint work, embodied in the draft memorandum on the development of the Kyiv heat and power complex between Kyiv City State Administration, Kyivteploenergo, the United States Agency for International Development (USAID), the EBRD, and the IFC. In ten days we have to sign the memorandum between all the parties," Kyiv Mayor Vitali Klitschko said. According to the report, it is planned to invest funds in upgrading the infrastructure of the heat and power complex, improving the quality of services provided by Kyivteploenergo, as well as reducing the cost of these services. It is also recommended to optimize the organizational and management structure of Kyivteploenergo, as well as to create a supervisory board, which will ensure the transparency of the enterprise's operations and prepare it to attracting private investment.